Air conditioning isn’t really thought about much in winter on the Sunshine Coast. It’s not until it gets too hot to handle that you start thinking about cooling your home. This summer season, if left too late, and if last years silly season is anything to go by, you could be waiting for up to 8 weeks for your air conditioning installation! The Cool Shop suggests that you make a decision to get a no obligation free quote from us NOW for a super awesome Daikin ducted or split system which we can install in your home within 2 weeks, not 8! But… this window of opportunity will not be around for much longer so act now. 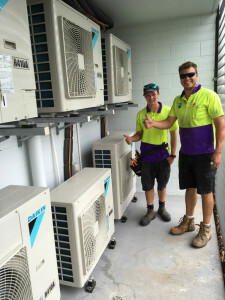 Daikin offers a full 5 years parts and labour warranty of all of their systems, with a spare parts warehouse in Brisbane, if there is a problem with your air con system, with Daikin and The Cool Shop you can be rest assured it will be repaired and up and running again as quickly as possible. 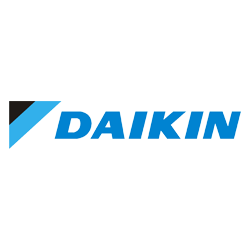 Don ‘t compromise your and your families comfort and peace of mind this summer, get The Cool Shop around to quote on 3the best air anywhere- Daikin. And get your new air conditioner installed by the best in the business on the Sunshine Coast.